We offer First Class Shipping, Priority mail & Express shipping. All shipping is calculated by the USPS shipping calculator. These rates are the rates provided to us by the USPS for weight and size. Rates also depend on the type of mailer used. At Life’s Balance Enterprises LLC we try to minimize all shipping costs through the use of bubble mailers and flat rate and Priority mail boxes. We cannot group two distinct orders placed separately, and shipping fees will apply to each of them. Your package will be dispatched at your own risk, but special care is taken to protect fragile objects. Boxes are amply sized and your items are well-protected. We do not ship anywhere outside of the US. : Most orders placed Sunday through Thursday will usually ship within 24 hours excluding U.S. government observed holidays, provided the product ordered is in stock and delivery service is available. Orders placed on Fridays may not ship until the following Monday due to limited shipping availability on Saturdays. We cannot guarantee when an order will arrive. Consider any shipping or transit time offered to you by Life’s Balance Enterprises LLC or other parties only as an estimate. We encourage you to order in a timely fashion to avoid delays caused by shipping or product availability. Priority & Express Shipping is an expedited service from USPS. It does not expedite the processing of your order. All orders are packed and shipped in the order they are received. If a user wishes to create an account for this website, during registration a user is required to give certain information (such as name and email address). This information is used to contact you about the products/services on our site in which you have expressed interest. At your option, you may also provide demographic information (such as gender or age) about yourself, but it is not required. We request information from you on our order form. To buy from us, you must provide contact information (like name and shipping address) and financial information (i.e. credit card number, expiration date). This information is used for billing purposes and to fill your orders. If we have trouble processing an order, we’ll use this information to contact you. 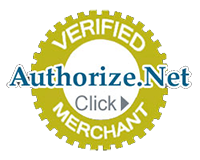 We accept Visa, Mastercard, and Discover credit or debt with no additional surcharge. Life’s Balance Enterprises LLC shall automatically charge and withhold the applicable sales tax for orders to be delivered to addresses within the US. Your receipt of an electronic or other form of order confirmation does not signify our acceptance of your order, nor does it constitute confirmation of our offer to sell. Life’s Balance Enterprises LLC reserves the right at any time after receipt of your order to accept or decline your order for any reason or to supply less than the quantity you ordered of any item. Orders usually ship within 24 hours of receipt but may be delayed due to arriving shipments that contain products that you have ordered. Orders received on Friday, Saturday, Sunday or any major holiday may not ship until the following Monday. However, there may be times when the product you have ordered is out-of-stock which will delay fulfilling your order. We will keep you informed of any products that you have ordered that are out-of-stock and unavailable for immediate shipment. You may cancel your order at any time prior to shipping. All sales are final. You must contact us immediately if your purchased item arrives damaged. To be eligible for a return, your item must be unused and in the same condition that you received it. Your item must be in the original packaging. Your item needs to have the receipt or proof of purchase.